The state flag of Iowa features the design of Dixie Cornell Gebhardt, which was the winning entry of the flag design contest organized in 1917 by Daughters of the American Revolution. This design that was adopted in 1921 features three vertical red, white and blue stripes representing courage, loyalty and purity respectively. A flying eagle with a scroll in its mouth taken from the state seal is centered on the flag above the word IOWA. Our Iowa flags are 100% made in USA and carry 6 months guarantee on construction. Available in various material choices like nylon and polyester and perfect for the outdoor and indoor, choosing the right flag to show your pride in Iowa is easier than never before. Our industrial grade flags are designed to look great and last long for a very long time. 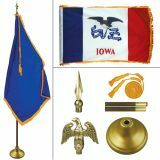 Choose an indoor flag of Iowa edged in gold or a plain flag while setting up an indoor flag display or check out these beautiful flagpole kits in oak wood that include Iowa's flag, a flagpole, ornament tassel and base. 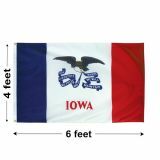 Shop from our complete line of Iowa Flags right away and avail the best prices, quick shipping and much more! 100% customer satisfaction guaranteed! Tuff Flags is a one stop shop for Iowa state flags of all possible models, sizes and material choices. Be it the light weight and quick dry nylon indoor or outdoor flags or the heavy duty polyester outdoor flags or the Indoor flag kits, we have it all and more. Made to precision, our industrial grade flags will make a perfect addition to any home or organization to show your Iowa pride. 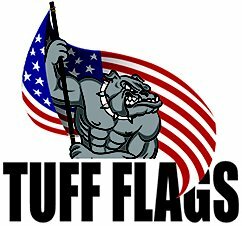 Made with 200 denier or premium quality 2 ply polyester, these flags are finished with grommets and heading for easy attachment. The UV resistant Dupont ink imprints will retain its colorfastness for a long time even in theoutdoors. Show your Iowa state pride during parades, tradeshows or at home with these meticulously crafted flags that are reinforced to resist fraying and to last long. Browse our selection of Iowa Flags and choose a model that matches your budget and needs. 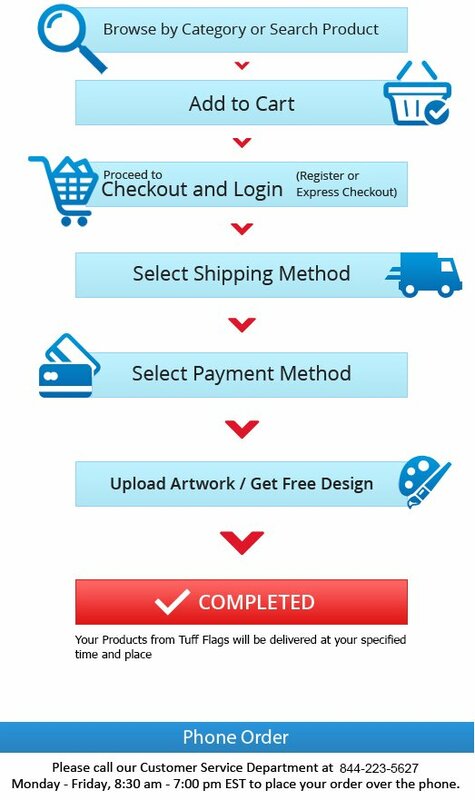 Should you need any shopping assistance, feel free to call us at our toll free number (888) 287-3524 or email us at customercare@tuffflags.com.